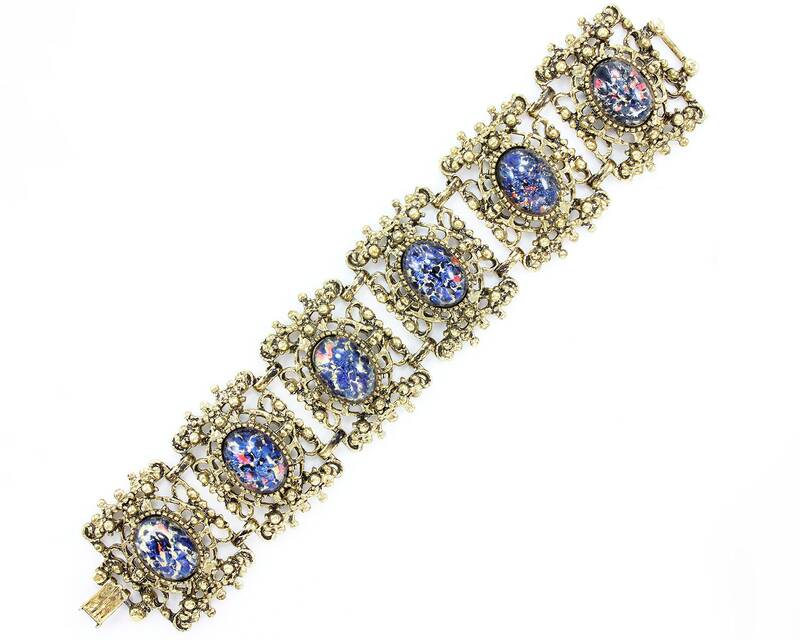 Victorian Revival Blue Art Glass Gold Tone Heavy Bracelet. 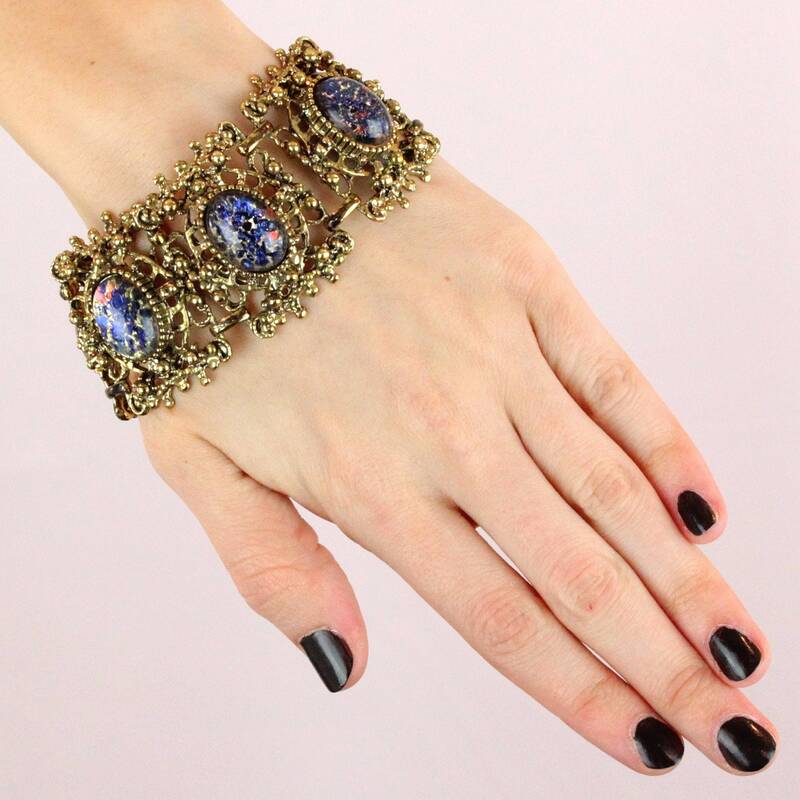 Made in the 1950s, this statement bracelet features six sections of antiqued gold-tone filigree settings each centered by blue foiled art glass cabochons in rich cobalt blue with flashes of brilliant colors. Finished with fold over clasp. 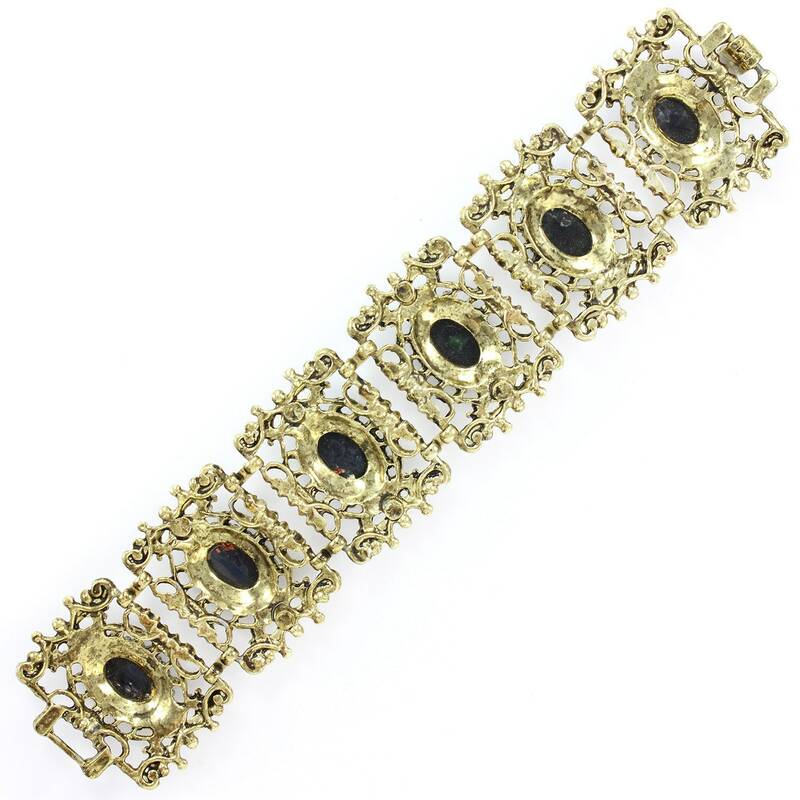 CONDITION: This vintage bracelet is in excellent vintage condition.